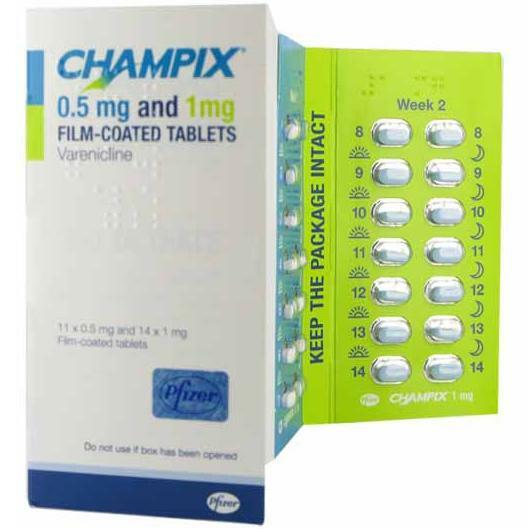 Trying to quit smoking with Champix? Let us know if it has worked out for you and helped you kick the habit. Add your own review to help others decide if Champix could help them stop smoking cigarettes. The key is you have to stop smoking then you will see after a few days you just don't crave as much. I kept smoking wondering why wasn't working to ect... but I just thought I need to just stop so I did and 3 months later still not smoking don't get me wrong you still need to be focused and you get triggers were you really want a cigarette to, but key is to push on forget about them and you will be fine be happy being a non smoker and don't pine for a cigarette or you will just start back up. Alen carrs easy way to stop smoking book really helped to. "good luck". I feel without Champix I may not have succeeded it gave me the start I needed. Just an update on my progress. As above I did exactly as I said day 18 smoked last 2 cigs and stopped. I new I just needed to stop and mentally focus myself. I read Allen Carrs easy way to stop smoking as lots on here suggested. I was very impressed with the book really makes you look at smoking for what it really is and how it has you trapped. You are not in control of ur life when a smoker the cravings control you, how you have to stop what ur doing to get ur fix, you can never just relax enjoy life. This is something I am enjoying the most been a non smoker "freedom". I don't have to remember buying them counting how many I have smoked or how many is left. I leave the house without them and can shop without the need to rush to get out for my cigarette. I have been on Champix 6weeks into my 7th now and smoke free for almost 4 weeks. I do get cravings as I remained using a e-cig for over a week so I still was getting my nicotine fix after reading the book I new I had to stop using substitutes to be totally free and non dependant to nicotine. I am now not using it and happy still feeling positive and will keep going. Don't get me wrong I still crave especially after a meal but I push on staying focused is key. I have 4 weeks of Champix to go and will defiantly remain smoke free. I think about the cigarettes a bit on off as it's early days but I don't think I want to smoke I think about the future of been smoke free. I have so much more money to. Overall my advice you need to be happy about quitting and not unhappy this is key. You need to want to stop and feel positive each day. Do not pine or greave for the cigarettes u will soon be back to smoking if you start saying to ur self I miss them. Don't miss them be happy you have your life back. Good luck to all. And buy the book to it really will help.